AFFINITY - These groups gather people around a common interest, including sports, parenting, songwriting, and more! FAMILY CARE - Family Care Groups focus on the interpersonal dynamics of relationship and family. These groups include: pre-marital counseling, marriage and family, and parenting. GCYC - Grace City Youth Church groups are great ways for middle and high school students to meet throughout the week to learn and grow together. GROWTH - These groups are book studies, workbook focuses, and prayer groups that help people grow closer to God and closer to each other. 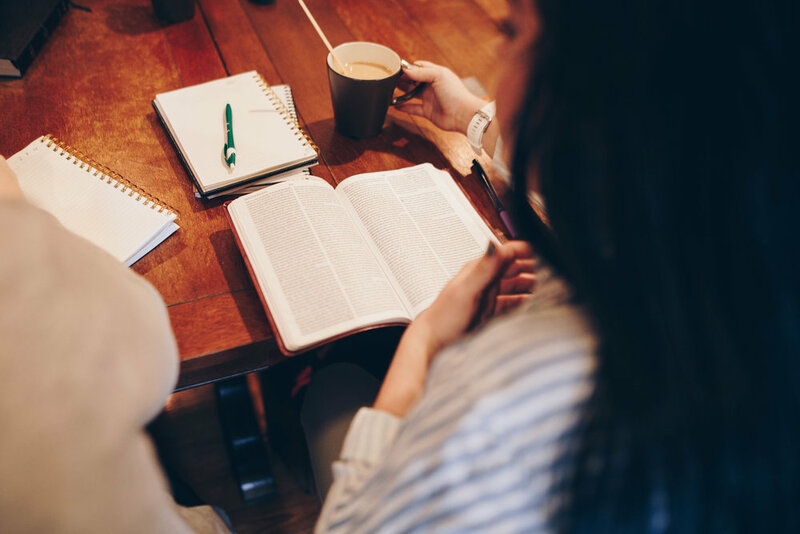 LIFE JOURNAL - These groups gather on a regular basis to read the Bible together and engage with the Scripture using the Life Journal devotional and SOAP journaling method. Life Journals can be purchased for $8 at the Connection Tent before or after service at Grace City Church. SERVE - Be part of our initiatives to serve the city we love- LAKELAND! SISTERHOOD - These groups focus on gathering the community of Sisterhood together for intentional times of dialogue, growth and fun!